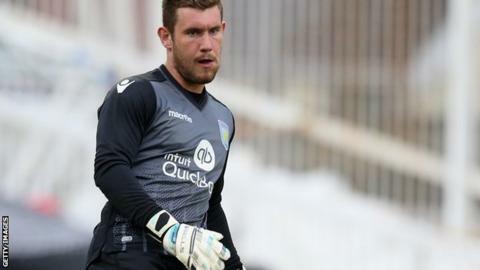 Huddersfield Town have signed Aston Villa goalkeeper Jed Steer on a one-month loan deal. The 22-year-old has made one league appearance for Villa since joining from Norwich in June 2013 and spent last season on loan at Doncaster and Yeovil. Steer's arrival comes after first-choice Joe Murphy was ruled out with a leg injury. He could make his debut for the Terriers, who are yet to win this season, in Saturday's trip to Cardiff.